We perform manual and automated rotary welding operations for our machined components. At Circ, we pride ourselves on our welding ability and knowledge of the materials being joined and have developed orbital welding machines in house, which enable us to complete circumferential welds on cylindrical parts and assemblies in the vertical or horizontal plane. We can work with any type of material and specialise in Stainless steel and Aluminium. 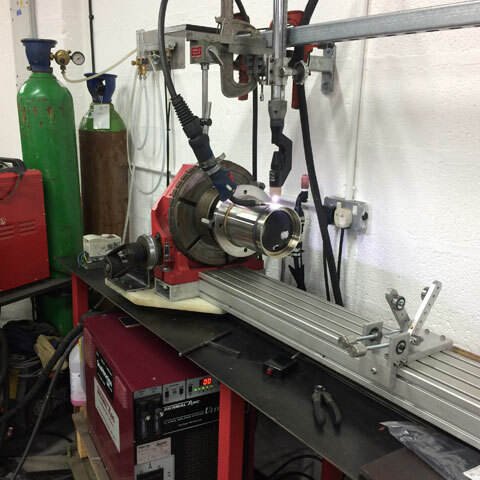 The plasma welding process has been used with great effect on the welding lathe when tackling large repetitive runs, by being able to complete fast cycle times and even reducing the amount of multiple passes needed for heavy gauge parts, by utilising a keyhole effect. 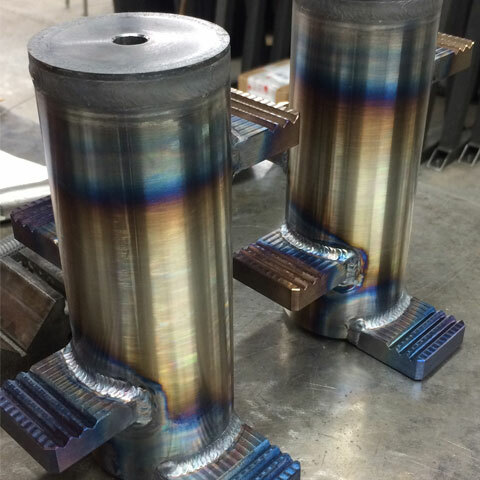 Our equipment enables us to complete welding cycles on large to very small diameter components and can offer Micro welding in either Tig or Plasma. We also have the ability of electro chemical weld cleaning of stainless steel welded assemblies and can also apply permanent etch marking for material heat numbers, company logos or associated information, onto stainless parts prior to packaging and shipping.